Higher Boston area property taxes are sometimes a good thing. That’s because it usually means home values have increased. Did you know that if you feel your Boston area property taxes are too high you can file an appeal? Here are a few tips to follow. When you receive your tax notice, examine it closely. Look for errors that may be mistakenly inflating the value of your home. Ask your county’s tax assessor’s office for a property record card and review it carefully. The property record card lists the components used to come up with your property’s assessment. This information may also be available online. Obvious mistakes such as an incorrect square footage or the wrong number of baths will reduce the value of your home — and that will reduce your property taxes. Review the property tax bills for similar properties in your neighborhood. The tax notices are part of the public record and may also be available online. Compare your home to homes of a similar age or size. If your assessment is higher than the others you may have good grounds for an appeal. Make sure you received all the property tax breaks you’re entitled to. Most states offer taxpayers certain exemptions, lower tax rates or reduced assessment ratios. The lower rates may apply to homeowners using their home as their primary residence, senior citizens or military veterans. Your state’s tax department website is also a good source of information on how to appeal your Boston area property taxes. And you can also visit the National Taxpayers Union website, www.ntu.org. Find more tips and articles on Boston area property taxes to your right in the Boston Real Estate Categories. Follow us on Facebook and Twitter for daily news and tips we post there, too. As the deadline nears for filing 2015 income taxes, there’s no time like the present to get a jump on being ready to file. 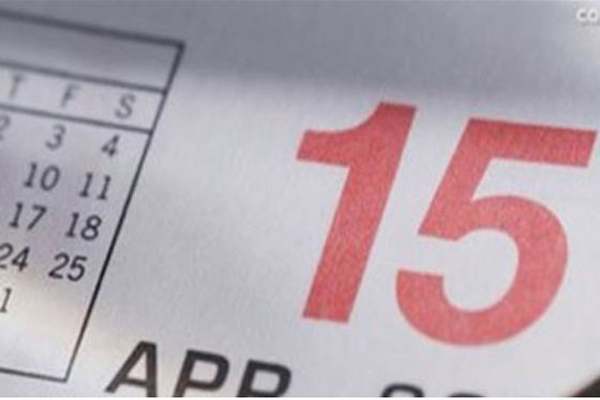 Experts say planning ahead may help lower the stress created by filing your income taxes. Getting an early start can give you the time you may need to cover all the bases. The following tax strategies may help. 1. Be sure to check and double-check all tax withholdings. Review your withholding information with your employer’s payroll department to make sure you’re not having too much – or not enough – withheld from your paycheck. If you make quarterly estimated tax payments review them, too. 2. Consolidate your outstanding debts. Give some thought to paying off high-interest credit card balances with a home equity loan or line of credit. The rate will be lower and the interest will be tax deductible. 3. Take refinancing into account. If you refinanced your mortgage during the tax year, you probably have a lower interest deduction. And if you used any or all of the refinance proceeds for anything other than home improvements, that money may be subject to an alternative minimum tax. Don’t forget, you can deduct points that were paid in the refinance if you haven’t already. 4. You should prepay your quarterly estimated state taxes. Pay the fourth-quarter 2015 estimated state income taxes and any balance owed by December 31. You can deduct the payments for the 2015 tax year and you won’t be subject to the alternative minimum tax. 5. You should prepay your personal property taxes. Some counties bill taxpayers twice – once in November and again in February. If you pay the February installment by the end of the tax year you can deduct it on your 2015 income taxes. A word to the wise, however, the alternative minimum tax does not allow this deduction. As always, if you have questions about your withholdings, exemptions, deductions or other tax matters see a qualified tax professional. Find more tips and articles on Boston area taxes to your right in the Boston Real Estate Categories. Follow us on Facebook and Twitter for daily news and tips we post there. Most Boston area tax advisors suggest their clients to start thinking about their taxes early. As the end of the year rapidly approaches, now’s the time to do some tax planning. By starting now, you can make next April 15 a good bit less stressful. Here are a few tax tips that may be helpful. Boston area tax tips: 1) You can receive a tax credit for energy savings. Install a energy-efficient solar system and you can get a credit for 30% of the cost. Visit EnergyStar.gov for more information on other energy credits. Boston area tax tips: 2) Use any stock market or other investment losses to offset any other gains or to reduce your taxable income. By law, you can wait until December 31, but it may be a good idea to begin planning now. Boston area tax tips: 3) Know your retirement plan options. You have until next April 15 to fund your IRA, but only until December 31 to make your maximum contribution to a 401(k). You can contribute up to $18,000 if you’re under age 50, and up to $24,000 if you’ll turn 50 by on or before December 31. Boston area tax tips: 4) Plan any charitable donations now. Cleaning out your closets ahead of time will help maximize any charitable deductions and get the jump on spring cleaning! If you plan to donate cash, spreading it out over the next couple of months may make it easier on your pocketbook. So, take advantage of the time between now and the end of the year. Remember, when the year ends so does your opportunity to use these Boston area tax tips..
Get more tips, news and articles about taxes by checking out our other articles in the Taxes section to your right under Boston Real Estate Categories. We also post daily real estate, mortgage and home improvement tips, as well as occasional tax tips and tips on how to save money on Twitter, and Facebook as well. If you’re a first time Boston area home buyer, there may be some important things you already know about, like things you now have to take care of yourself that a landlord used to do for you. But being a homeowner also affects tax deductions you can take to help lower your tax bill. Now that we’re in full swing for taxes, we’ve put together this list of what you can and can’t deduct, along with other tips for tax season. As a new Boston area home buyer, a new mortgage means a little more work for you when it comes time to file your taxes. However, the extra work is worth it in the end. 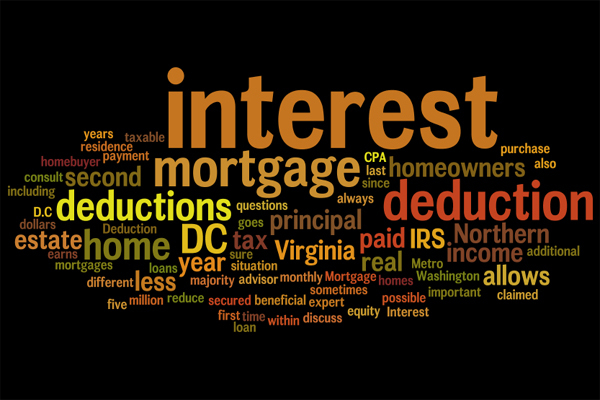 Perhaps the most important tax deduction you need to be aware of is your mortgage interest. At year-end, refer to Form 1098 from your lender to see how much mortgage interest you paid. This is still deductible, though it may not be forever, so take the deduction while you still can. Mortgage points are nothing more than prepaid interest. You can buy points to lower your interest rate when you get your loan. By purchasing points, you can save money in the long run if you stay in the home for a certain period of time, depending on the amount of points you buy. For example, if you have a $300,000 mortgage and buy two points, you’ll owe $6,000 for those points at closing. (Each point is 1% of the value of your mortgage.) If buying the points lowers your payment $250 a month, you’ll have to stay in your home for at least 16 months to break even. After that time passes, you’ll start putting money back in your pocket. Are you eligible to deduct money you spent on mortgage points from your taxes? Each situation is different, but it’s definitely worth looking into. Ask your accountant or tax attorney. Becoming a Boston area home buyer also gives you the responsibility of paying property taxes. In most cases, your taxes are rolled into your monthly mortgage payment, and your mortgage company pays your taxes from your escrow account when they’re due. If you’re a first-time Boston area home buyer, you’ll need to know the total real estate taxes for the real property tax year and the number of days in the property tax year that you owned the property. This is usually handled at closing by a closing attorney, if you had one. Thanks to a bill the Senate approved in late December 2014, homeowners can deduct the cost of mortgage insurance premiums on their 2014 tax forms. The tax break covers PMI premiums and premiums paid on FHA, VA and Rural Housing Service guaranteed loans, according to an article on National Mortgage News. As you can see, purchasing your first home can have a major impact on your taxes. With a little research and perhaps some help from your tax professional, you can recoup some of the costs associated with becoming a Boston area home buyer. Find more news articles as they relate to taxes in the Taxes section under our Boston Real Estate Categories to your right. And find us on Facebook and follow us on Twitter for daily updates we post there as well. When it comes to filing your income taxes this year, you’ve probably already received all of your income tax forms in the mail, like your W-2’s, 1099’s and 1098’s (for deductible mortgage interest), and any others you might need for filing. You may have even filed your 2014 income taxes already. But what many filers who haven’t filed yet may not be ready for this year is, just how Obamacare, aka – The Affordable Care Act – may affect their income taxes. We have more income tax tips and articles in the Taxes section under the Boston Real Estate Categories to your right. And don’t forget, we also post tips daily on Twitter and Facebook, sometimes pertaining to Taxes and the Boston area economy, or the economy in general. Find us there as well..